Larger social media sites such as Facebook and Twitter have done a lot to democratise the web; to give us the opportunity to rub shoulders with all sorts of people. But this comes at a price: the ‘tyranny of attention’ requires that we be prudent in how we spend our time and mental energy. In real life, we take care to pick and choose the social circles that we move in. So how do you ensure that you’re in good company in the online space? Invitation-only social networks are built around this premise. Why jump into the endless and unpredictable ocean of large-scale social networks, when a vessel populated by like-minded individuals would offer much smoother sailing? By vetting those who come aboard, invitation-only social networks can offer a number of advantages that ‘free-for-all’ social networks cannot. Dribbble is one such example. In many ways, it bears a strong similarity to DeviantART, allowing users to upload demonstrations of their prowess in graphic design and illustration. 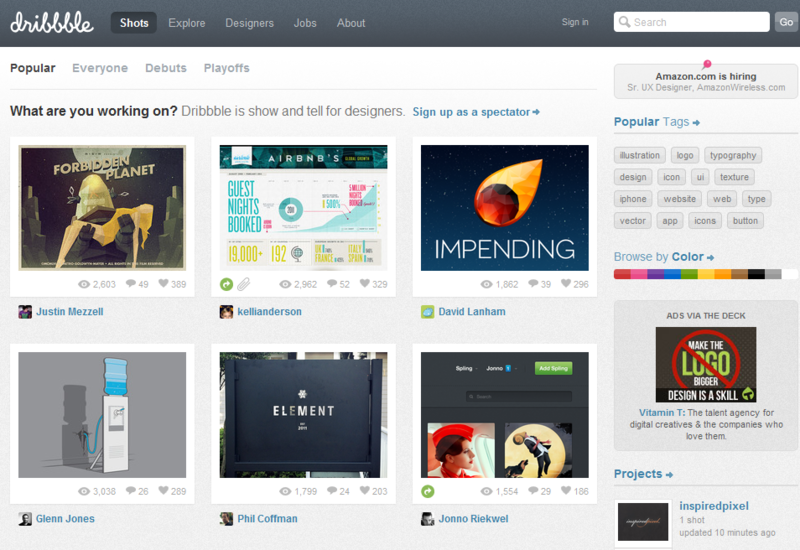 However, unlike DeviantART, Dribbble’s user base is divided into three tiers: Spectators, Prospects and Players. Anyone is free to sign up as a Spectator; this grants the ability to passively explore the design portfolios hosted on the site. Prospects are those who have indicated that they wish to join. Players are the lucky few who have passed the drafting process, and have the right to upload designs and comment on other people’s hard work. The crucial point is this: any member who invites a non-member to the community has to vouch for the quality of the non-member’s work. Done properly, this preserves the quality of the content on the site, as well as guaranteeing that only engaged and passionate people become part of the Dribbble community. A similar model can be found among a slew of other social sites, such as Pelime (a creative arts community), WIWT (a fashion community) and Teazel (a virtual hangout for surfing enthusiasts). There exists a further species of invitation-only social networking site that has arisen. While the aforementioned networks thrive on shared interests and skills, networks such as Squ.are and Angel’s Circle have the unique selling proposition of simply being very hard to get into. Asking how to seek an invitation is an exercise in futility; if you have to ask, you’ll never know. If you’ve ever asked the price of something at an expensive restaurant, you’ll understand the thinking that underpins this philosophy. Nevertheless, they represent an interesting counterpoint to the staunchly egalitarian attitude of the larger networks. Finally, I couldn’t wrap this article without giving an honourable mention to the most exclusive social network of all; where simply being human renders you ineligible for membership. I am, of course, referring to Dogbook, the social network for man’s best friend. Take a look – I hear it’s a right wag. This entry was posted in Uncategorized and tagged Digital, dribbble, facebook, invite only, online, social, Social media, twitter by Ed Trotter. Bookmark the permalink.